The Lumia 5xx series have been by far the best selling Windows Phone handsets over the past few years so the mobile world’s excitement when rumors of a new member come up is easy to understand. 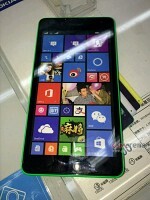 And this is a pretty big one – the Lumia 535 showed its face in live photos and got its specs detailed in the process. 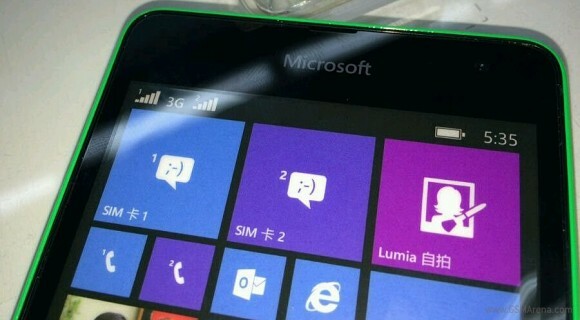 The images originate from China and seem to show a dummy device rather than an actual Lumia 535 unit, but still gives us a good idea of how it will look. It also confirms the dual SIM support of the handset but it appears that 3G is only available on one of the slots and there’s no LTE at all. 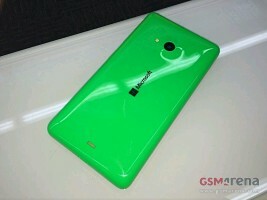 Either way, the Lumia 535 is expected to be the first smartphone of its family to carry the Microsoft branding after the company officially got rid of the Nokia logos. It’s rumored to be unveiled on Tuesday, November 11 with a 5” qHD screen (540 x 960 pixels) and a 1.2GHz quad-core CPU on a Snapdragon 200 chipset. Internal storage is rumored to be 8GB, while RAM is set at 1GB. The Lumia 535 will come with a 5 MP primary shooter and an ancient VGA selfie snapper. The whole thing will be powered by a 1,900 mAh battery and will be available in black, white, gray, blue, orange, blue and green colors. Why this Lumia 535 cant play clash of clan. Is Microsoft a very poor qbout this.